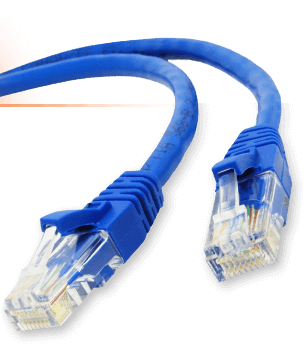 Digital Tsunami offers a wide range of wireless networking services for small to medium sized businesses in Port St Lucie and the surrounding South Florida area. In any sized company, the ability to add wireless networked computers and devices is very important. We have partnered with Cisco to help provide affordable wireless networking with features that can help your business achieve faster growth and efficiency. Whether it is from a roaming employee in the office or allowing clients / customer internet access we can help you achieve your goals. No need to worry about running extra network cables to hardwire additional computers or printers. Wireless doesn’t just mean mobility it means convenience. Would you like to be able to view what is on your laptop on a big screen TV or projector without having to hardwire everything? Well, Digital Tsunami can help you with that as well. Please take a moment and check out our list of wireless services. The vast range of networking setup and network management services provided by Digital Tsunami in Port St Lucie and surrounding areas allows your business to function best. With our wireless networking assistance, you can have ultimate control of the equipment you are working on without excess wiring disrupting your workflow. Wireless networking is the future, and Digital Tsunami is proud to provide networking services to get you up and running with the innovative technology that is convenient and beneficial for any company. It’s important to regularly keep up to date with all wireless network systems. Digital Tsunami wants to help you succeed by giving you the latest updates on anything that is best taken care of immediately. At Digital Tsunami, we set our customers up for the best, most convenient atmosphere. We believe everybody deserves systems that work as fast as possible, which is why we are committed to keeping you up to date with any new updates that need to be taken care of for your own convenience. Wireless networking should make life not only simpler but safer. Digital Tsunami provides wireless network security so that you can make sure all of your business information and personal information is kept safe from internet danger. Our wireless networking is protected and won’t be picked up elsewhere without your approval or knowledge. Digital Tsunami offers a wide array of wireless networking services that even includes using wireless networking with outdoor security cameras so that you can see video footage of outdoor surroundings, receive live updates, and feel safer than ever before. Wireless networking provides a number of benefits, including that you receive information right away and receive it no matter where you are. 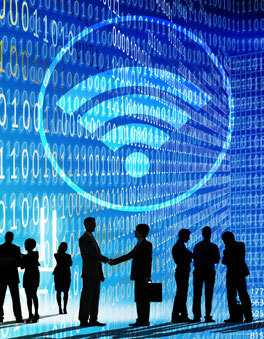 At Digital Tsunami, we offer only the best of all wireless networking services. We want you to feel safe, comfortable and efficient, which is why we recommend our wireless networking services like set up, updates, and security. To commit to better functionality in your office and home, you can turn to Digital Tsunami for all wireless networking services.